We have gathered this list of handy hints that will help you make the most of your money so that you can fully enjoy your Great Wall holiday. Make a list of things you want to see and make a budget and stick to it (difficult I know). China can be an expensive city but you can also do it on a budget very well. Remember many museums frequently are free in Beijing or Shanghai and if you choose to stay in a hostel, you can buy food from supermarkets which works out a lot cheaper than eating out every night. The local travel agency in China have plenty of experience in their areas and offer competitive price than what an international agency does. Do you homework first. If you enjoy doing the research, that’s a plus. At least give the local agency a chance. Local travel agency are just about the only business that works extra hard to save clients money, thus-cutting their commissions, but keeping happy clients! Hiring a guide costs 300-500 Yuan /day depending on which city you visit and how hard the work will be. For example, if in Beijing, it will be 300-450 Yuan/day, and 300 or more if in Xi’an, 400 or more if you do Great Wall hiking tour or long distance transfer. Give yourself enough time to save for all the adventures you wish to do. Plan your budget well in advance so you won’t miss out a special excursion you want to to due to tightened budget. Think about how to spend your money abroad wisely. Are you considering using cash, credit cards, debit cards, prepaid cards as well as travelers’ checks while travelling in China? Get a debit card or credit card which in turn won’t charge you service fees could be useful- or open a new account with a different bank to save service fees during your vacation. Consider to get a card which earns you air miles for future excursions. Exploring Great Wall during the shoulder season or off season could be a option if you can’t afford to travel in peak season. You will find a cheaper deal, such as flights and accommodations during off season. Tourist site entry fees in Beijing will be reduced during off season between December and March every year. Weather condition will be another factor to consider when planning a Great Wall tirp. You can make wonderful savings on your flights if you have an international student card (ISIC) before you travel. some hostels in China may provide a discount with ISIC as well. Most attractions in Beijing won’t accept ISIC and it doesn’t hurt if you want a try. International, and exchange students who have Chinese ID card can get a 50% discount at many attractions in Beijing. Show your Chinese student ID card at the entrance if you have any as you can often save between a third to a half of the cost of admission fees into many sights in Beijing. Know a few words of Mandarin before travelling in China and you’ll find it much, less of challenge when it comes to bartering in markets at Yashow, Silk market and Pearl market etc. If you don’t know enough how to bargain fluently, just a few polite words will help towards goodwill in addition to a cheaper price for you. The locals really will appreciate your time and effort. If pocket guidebooks or textbooks don’t work for you, considering a language exchange with someone over a coffee will really help you to build confidence. Make sure which air ticket booking website is the right one to use although there are plenty of websites that may help you compare flight prices. Check out http://www.ctrip.com or http://www.travelzen.com. Both sites will help you get best deals of domestic flights in China. Remember that budget airlines can have hidden costs like baggage handling and check-in before booking your flights. Look for cheaper alternative large airports close to your desination though finding taxis may add up to the cost when booking domestic flights in China during China public holiday. Make savings by looking for late deals close to the departure date if you have lots of flexibility. On one hand, late deals do sell out fast so you should take action quickly. On the other hand, booking well in advance of departure can make great savings with early booking discounts, and you’ll get to travel when and where you intend to. Some mid-week flights may be cheaper than weekends, and vice versa, depending on the destination.So It makes sense to consider travelling on various days. Make the most of your WildGreatWall Adventure Tour Leader’s expertise. Our tour leaders have excellent local knowledge and will be able to let you know where to get the cheapest drinks, where to find the best food to suit your budget, how to get around in Beijing cheaply and safely (taxis vs train buses) and will help you find internet cafes along with laundry services that won’t hurt your wallet. Beijing has so much to see and do, you do need someone to organize it. Set a day-to-day budget and keep a list of the items that you’re spending in a notebook so that you can never go overboard- you don’t want to miss out an excurison because your money is in short supply. 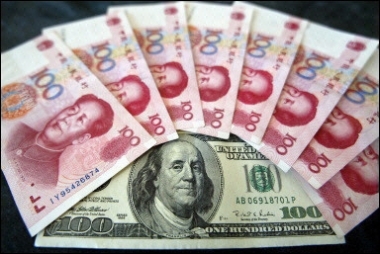 Dining cost in general in most cities: Breakfast: a couple of Yuan to a dozen of Y. If in hotel, eat western style and price is not included in overnight fee: few dozens of Y pp. Lunch and dinner in decent restaurants : 30-50 Yuan per dish. Beer and soft drink in bottles: 5-10 Yuan per bottle. Ovenight cost: Decent 4 start hotel from medium inland cities to coastal big metropolis: from 450-1200 Y per night. Decent 5 star: from 700-1500- much more Y per night. Taxi basic price: about 10 Yuan for 2-3 KM. For example, if you visit 4 spots within city area in one day say in Xian, about half hundred. If in Shanghai, expect a hundred. Shanghai’s taxi price is highest in China. Sightseeing: a great part of your total cost in China. Normal main spots 30-65 Y pp, famous ones even 130 Y pp. Get snacks and coffees from side-street cafes instead of caffee shops at toursit sights as these are usually to be more expensive. Shop at local markets when you find them – you’ll have a great cultural experience and it will often be cheaper than outlests and shops. – If you’re able to, check the menu at restaurants before you go in – And make certain to check on the expenses at the end for things you didn’t order.